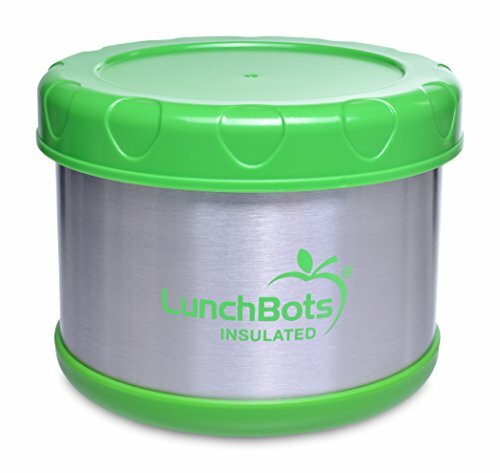 LunchBots has designed a safe stainless steel insulated container to keep food hot or cold. Perfect for packing everyday lunches! Keeps Food Hot or Cold Enjoy a hot lunch on the go! Pack these lunch containers with homemade chicken soup, beef stew, vegetarian chili, and other favorites. Or fill with a fruit salad - they keep cold foods cold too. Safe Materials Made of the highest quality 18/8 stainless steel, no plastic comes in contact with your food. BPA-free. Best Design The LunchBots Thermal is much wider than traditional insulated containers. Its bowl shape is more natural to eat from and easier to fill.